We are on a mission to inspire hope in Native American youth and give them a voice to be heard. There is a generation of Indigenous youth rising up and taking a stand against the negative stereotypes and circumstances that try to define them. They are speaking out against the misconceptions, embracing their cultural heritage and striving to break free from cycles of suicide, substance abuse, and violence that have threatened to rob them of their future. This passion and vision is what fueled our excitement to have the opportunity to join a variety of local sponsors in hosting an inspiring and power-packed concert given by award-winning Sicangu Lakota Hip Hop artist and music producer Frank Waln, from the Rosebud Reservation in South Dakota. We are so thankful for those of you who generously donated and made this amazing event possible! The celebration brought several different tribes together on October 9, Indigenous People’s Day, to honor their rich Native heritage and take a break from the weight of their daily struggles. 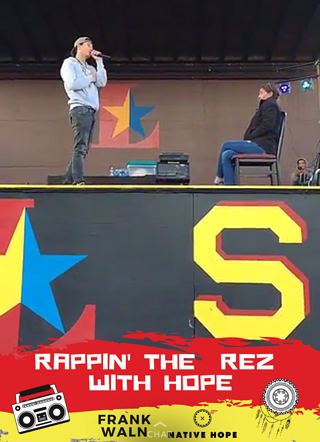 Those in attendance had the privilege of listening to Frank Waln as he shared his inspiring message of hope and encouraged the youth that anything is possible if they don't give up! “Frank touched the lives of all people in attendance. He magnified the strength our women have in our societies and that love and support can truly take you a long way if you let it. 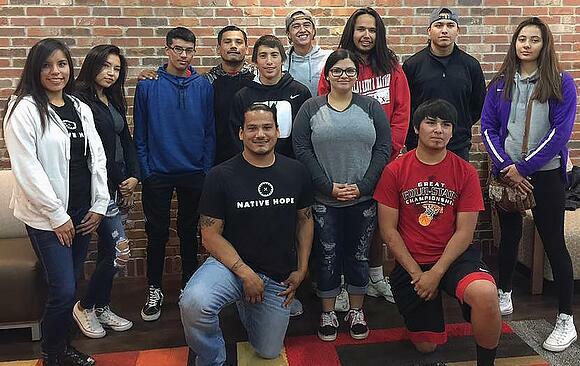 He also gave a history lesson and inspired hope into the younger people who were in attendance, realizing that most of us still experience everything they are going through right now in their lives,” shares Kansas Middletent, a Native Hope ambassador. Erica Donner reflects on some of the highlights from the concert and says, “I loved seeing the different community members come together young and old. For myself, it was fun seeing my family members coming to support this event." "Awesome music and message. My hope is that Native American nations thrive and the people understand how sacred they are and how much they are loved. Keep walking the red road and being positive warriors no matter what!" We would love for you to join us as we continually strive to equip them with the tools and encouragement they need to have a true vision for their future, one where they can fulfill their hopes and dreams. Together, we can empower a generation to break the cycle of abuse and impact the world around them.